The do-it-yourself connectors are designed for installation without the need for special tools. They will provide class A screening attenuation. 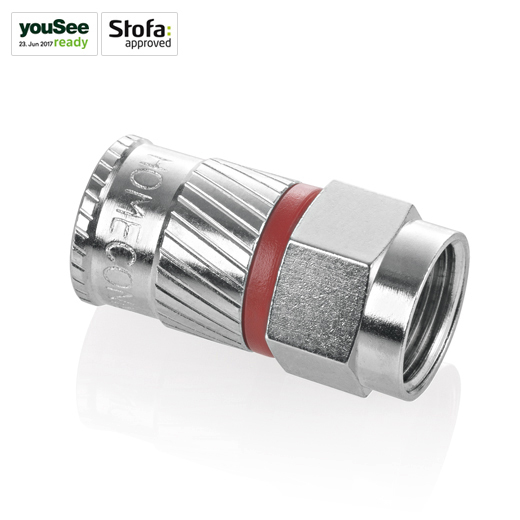 All our DiY connectors are developed in close partnership with operators, and with strong focus on quality and ease of installation. The F-connectors are optimized for easy mounting on DKT antenna cable. 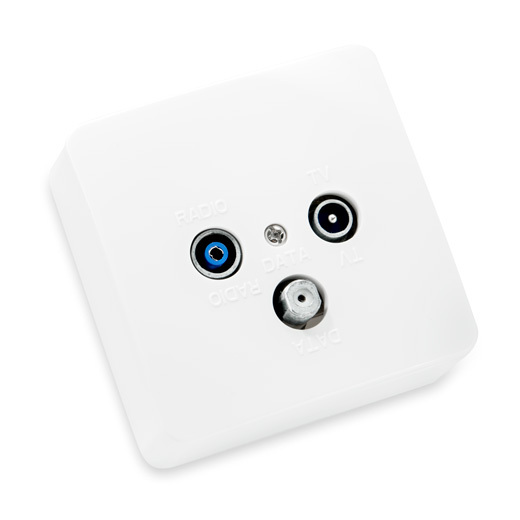 This allows them to be connected to an amplifier or joined to an existing cable (with an LLFF connector). It can be mounted without using tools and creates a shield-tight junction. DKT HOME connectors are an IEC-type antenna connector that is simple to mount and that is specifically designed for our cables in a “perfect fit”. 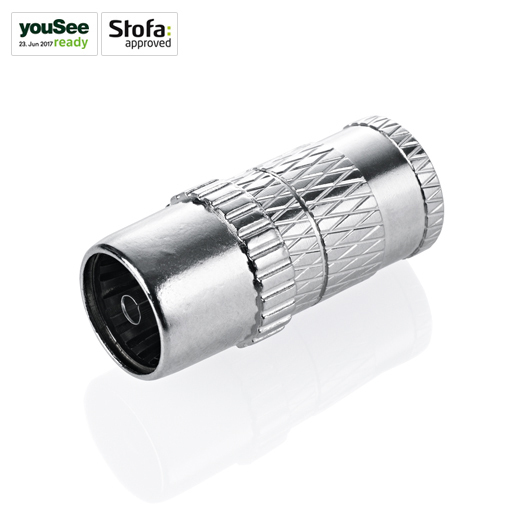 The connector is constructed so that tightening the outer coat holds the cable’s woven shield between the coat and the inner tube, while the cable’s foil can pass with the inner tube. 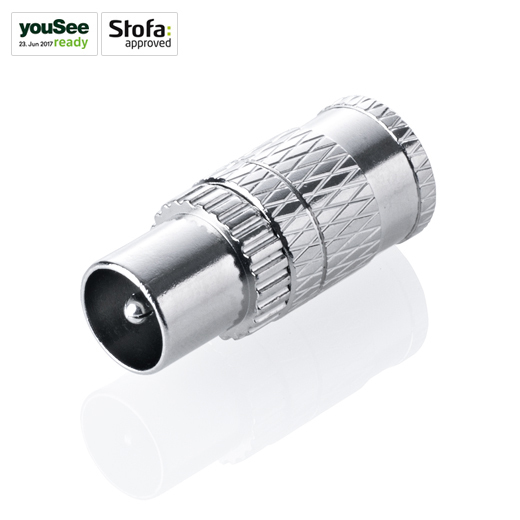 The conical section on the screening tube ensures that the connector can be mounted on many different cables despite that the dimensions of the outer coat may be different. 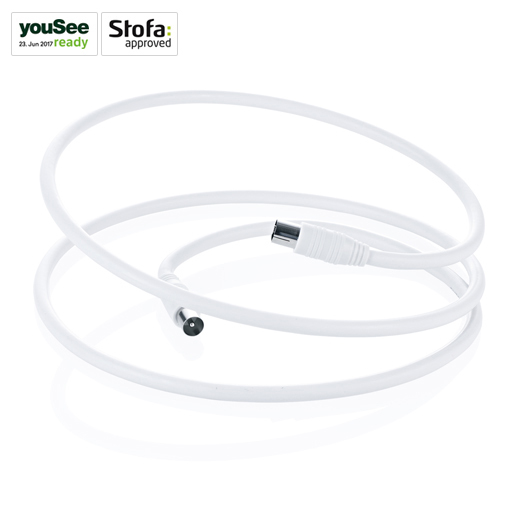 Adaptor for F-Connector cables is used to join two different cables that are fitted with F-connectors. Perfectly fits DKT HOME F-connectors. 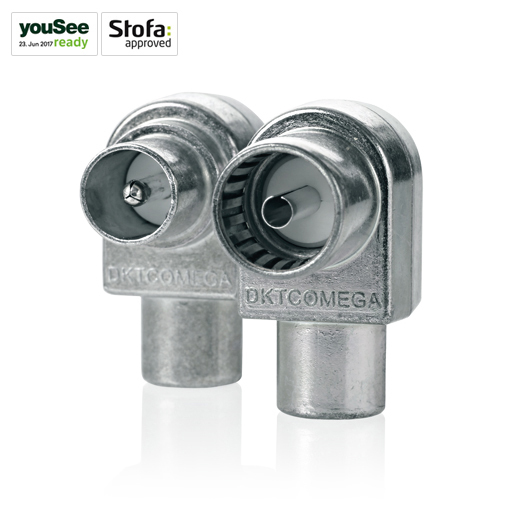 Can easily be mounted with an ordinary spanner and creates a screened junction between two cables in combination with two F-connectors. F-DIY, F-Male, DG 2-3ZH or any other similar type of RG6 cables, 100 pcs. IM-DIY-A, 90 degree IEC-male, DG135OHW, DG123OHW, DG 2-3ZH or any other similar type of RG6 cables, 50 pcs. IF-DIY-A, 90 degree IEC-female, DG135OHW, DG123OHW, DG 2-3ZH or any other similar type of RG6 cables, 50 pcs. IM-DIY-S, IEC-male, DG135OHW or any other similar type of RG6 cables, 50 pcs. IF-DIY-S, IEC-Female, DG135OHW or any other similar type of RG6 cables, 50 pcs. IECF-FFVI, IEC female / F-conn female, angle, 50 pcs. IF-IM-A, IEC female / IEC male connector, 90 degree angle, 50 pcs. IECF-FFVI-L, IEC female / F-female connector, angle, 50 pcs. IECM-FFVI-L, IEC mmale / F-female connector, angle, 50 pcs. 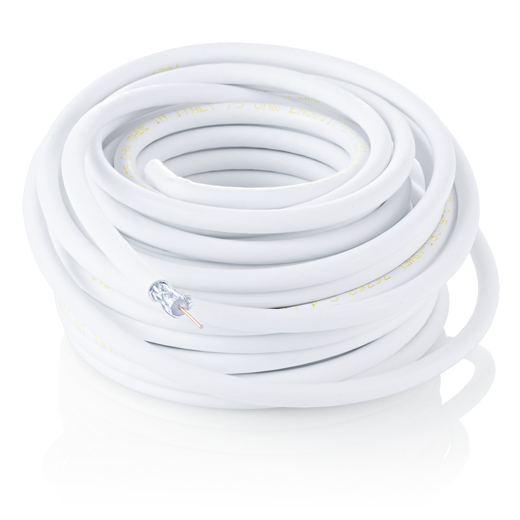 DKT provides an extensive variety of coaxial cables for indoor and outdoor installations. F male to F Male indoor class A jumper cables for indoor use in white Thermoplastic Jacket. The classical multimedia outlets are carefully designed to comply with CENELEC and designers requirements concerning signal quality. Is the Home Network an operator’s responsibility? Do customers share the operator philosophy that the home network is not an operators responsibility?